This table allows the shirt to be folded using a pneumatic head system, fitting the collar perfectly to the head shape, whatever the size of the shirt is. Another pneumatic device folds the bottom part of the shirt automatically. 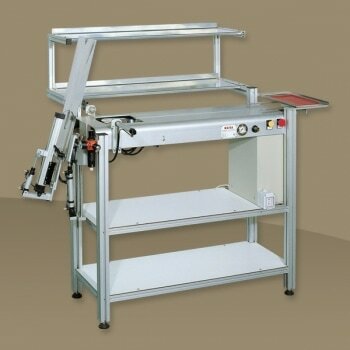 The head is heated and the table is fitted with adjustable marks (blades) which help to fold the shirt; different working programs can be selected by using a PLC system.